Seven-hundred-nineteen people are killed each year in red-light running crashes on average from 2011-2015. Traffic crashes are the single most significant cause of preventable death and injury in North America. 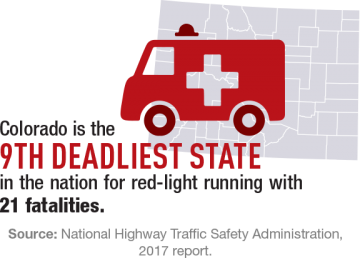 Public costs exceed $14 billion per year, and more than half of the deaths in red-light running crashes are other motorists and pedestrians. Red-light running is a deadly epidemic. Red-light safety camera programs have proven to reduce the number of red-light running collisions and their associated injuries and fatalities. Cities that turned off their red-light camera programs experienced a 30 percent increase in fatal red-light running crashes and a 16 percent increase in fatal crashes of all types at signalized intersections. By comparison, cities with active red-light camera programs experienced 21 percent fewer fatal red-light running crashes and 14 percent fewer fatal crashes of all types at signalized intersections. A review of 79 cities with active camera programs between 1992 and 2014 found that red-light cameras saved 1,296 lives. 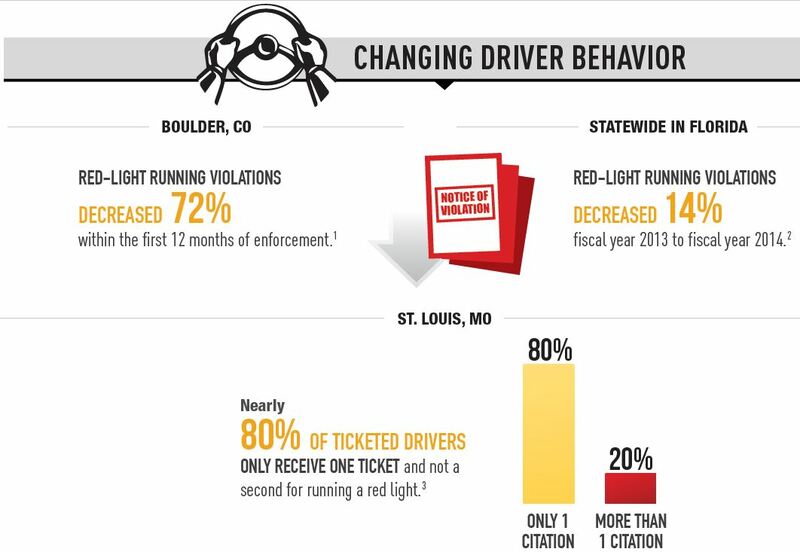 Source: Insurance Institute for Highway Safety "Effects of Turning On and Off Red Light Cameras on Fatal Crashes in Large U.S. Cities." July 2016. It can be the difference between a fatal or survivable collision. A few miles per hour can mean the difference between life and death for a pedestrian who is hit by a motorist.